Considering that the U.S. Library of Congress already houses more than 10,000 books, articles, doctoral dissertations and ephemera about Benjamin Franklin, one can wonder what new can be said about our most multilayered Founding personality. Happily, the answer is, quite a bit. It is hard to believe, but of all our compelling American historical figures, a complete literary biography of Franklin’s life has never been written. The late Leo Lemay, a leading Franklin authority, managed only three volumes of his projected seven-volume complete Franklin biography before he died. Other attempts to capture this scientist, master of the printing press and news format, philosopher, politician, spy, bon vivant, inventor, and mentor of most of the other Founding Fathers, all have foundered under the complexity of capturing his multitasked and often contradictory life with any coherence. Franklin’s life, it seems, can only be approached in slices, hence the groaning shelves of Frankliniana in the Library of Congress. This complexity has meant that whole parts of Franklin’s life often are glossed over by other biographers. 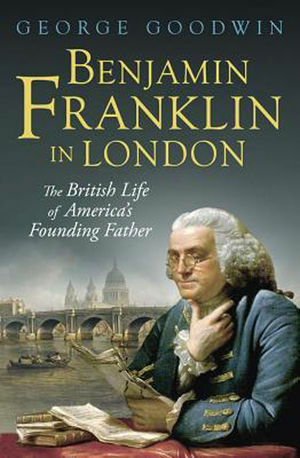 The biggest gap in the Franklin story is the more than one-quarter of his 84-year life when he was absent from North America, most famously the decade spent in France, where he single-handedly dragged a reluctant French king into providing the money, guns and troops that tipped the balance in our Revolutionary War. But a more important, largely scanted period is the roughly 18 years Franklin spent in London. That is when he underwent the painful, and fateful evolution from loyal English subject to that of fierce rebel, revolutionary and underground master of spycraft.